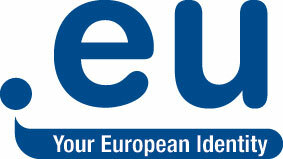 Today, January 11th, 2009, TLD of European Union has reached 3 million domains! You can check stats at EURid website. Previous milestones were achieved on 07.04.2006 (first day of landrush) – 1 million and just three months later on 05.07.2006 – 2 million .EU domain names. Today at 8:30 PM CET .eu domain name has surpassed 3 million mark and is the fourth most popular domain in Europe (behind .de, .co.uk and .nl). 700 thousand new .eu Internet domain names in first four hours after .eu opened to the public. 3,0 m surpassed after 1010 days since landrush! As the milestones show – .EU is one of the fastest growing new TLD and is getting stronger and stronger every year. Poland is definitely one of the leaders in .eu domain registration but has still far to go to catch up with Germany, Netherlands and United Kingdom. What is also interesting is the fact that number of .eu domains registered by Polish Internet users is similar or even higher than number of .com names (statistics say of about 160 thousand .com TLD used in Poland) .